This week we had some tough choices to make. Frankly, as much as we love the panorama shots, the narrow newsletter space we have to work with just doesn't do them justice, so they didn't make the final cut. However, we didn't want subscribers to miss all the wonderful submission below. 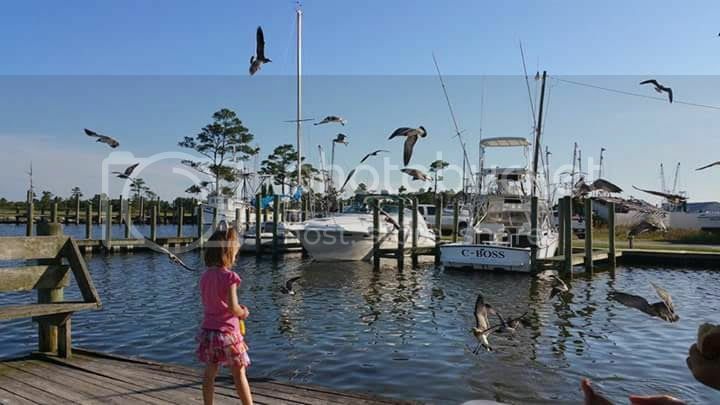 Hannah Boggs of Clayton, N.C. feeding the seagulls while visiting Big Trout Marina in Engelhard, N.C. Photo by Chrys Lee. Sunset at Shen's Creek Charleston South Carolin taken by Jill Presta. Frankfort, Michigan by Sue Hansen. 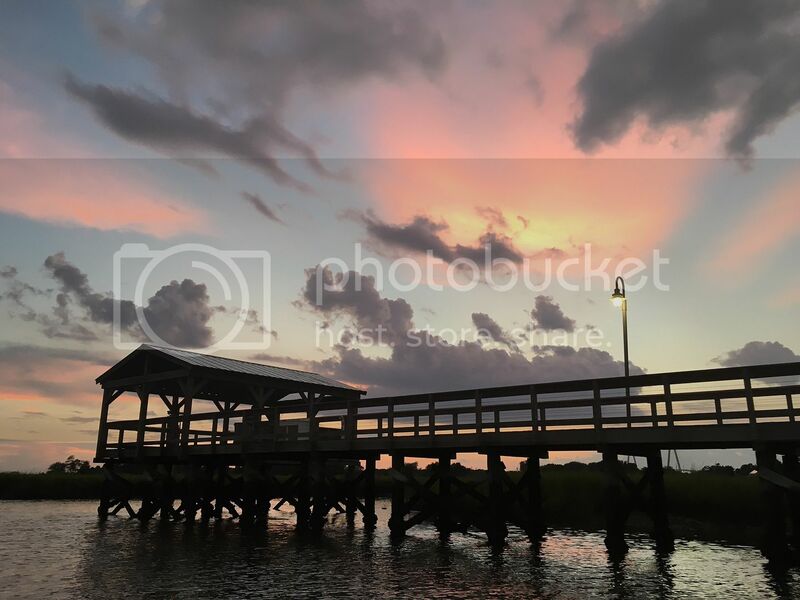 A gorgeous, panoramic view of Matlacha, Florida by Sydney Poncho.